Hearing aids, in and of themselves, are advanced pieces of technology. Through computer technology, many hearing aids are capable of converting and amplifying sound waves so that the brain can process them. But this technology is only the beginning. Today’s hearing aids come with many different types of additional features that make a person suffering from hearing loss have an easier time hearing in more environments than ever before. Take a look at some of the major features offered by hearing aid manufacturers today. Channels separate the sound signal into discrete and unique sections for easier processing. Channels allow the hearing aid to be customized across all pitches, which is handy since hearing loss is diagnosed at different degrees of severity. 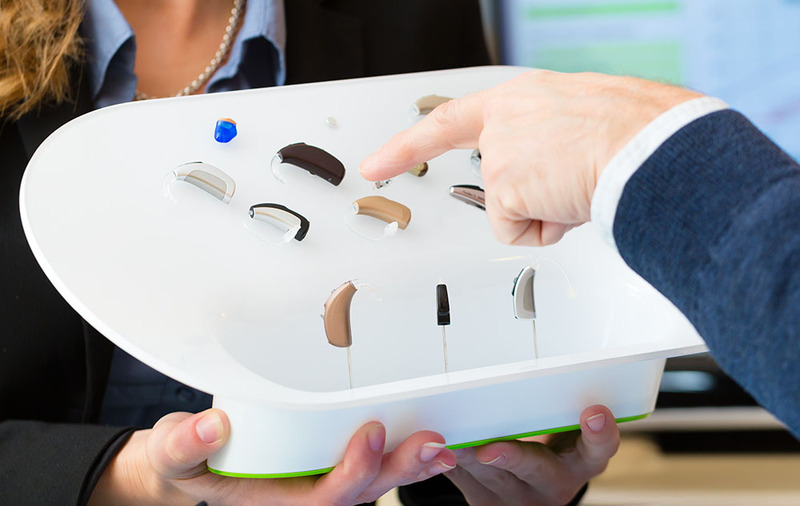 The more channels a hearing aid has, the more it can be customized. A directional microphone gives preference to sounds coming from a specific direction, such as in front of the person wearing the aid, while reducing sounds coming from other directions. Directional microphones enable people to understand face-to-face conversations better, especially in noisy or crowded rooms. If there is an unwanted sound or noise, the digital noise reduction feature will tune it out. As such, background noises are less annoying, making it easier for a person to follow conversations in environments like a busy restaurant. Impulse noise reduction reduces the jarring effect of quick, impulse noises, such as the rattling of car keys, typing on a keyboard or dishes clanging. Sometimes hearing aids produce feedback noises, such as whistling or ringing. The feedback management mechanism can reduce or eliminate the noise, improving listening comfort. A telecoil picks up a signal from other devices that are also equipped to connect with telecoils. By providing a direct signal, telecoils reduce background noise in environments where people want to be able to hear something clearly, such as in a museum, movie theater, place or worship or gallery. FM compatibility enables hearing aids to connect with FM systems. By bypassing the microphone, the signal picked up by the hearing aid enters the processor directly, removing excess noise. Like FM compatibility, Bluetooth connectivity enables a hearing aid to connect to devices through a wireless connection via Bluetooth. This connection makes for better and clearer sound. When considering a hearing aid and its features, talk in-depth with your audiologist about your wants and needs. The audiologist will be able to recommend the right device for you based on your hearing loss, lifestyle and budget needs.